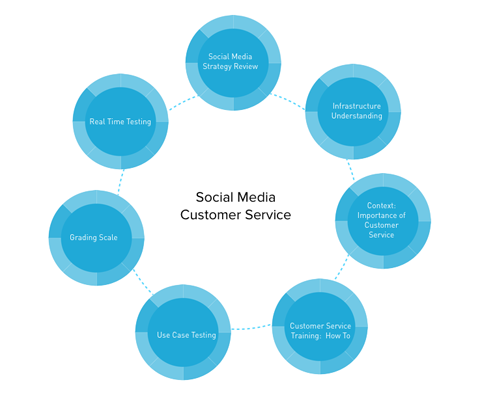 Is Social Media useful for Customer Services? Can Social Media be useful to offer Excellent Customer Service? Is Social media a right platform to offer excellent customer service? This is the question that every business owner feels like asking. Have you seen customers complaining on any business page? Have you seen that their complaints are resolved via proper solutions? Yes, very few complaints are actually resolved on social media and this is one of the reasons people avoid to do transactions with those business people who tend to ignore complaints on their social media page. But if you really adhere to each and every complaint and give proper solution for the same then you can easily be one of those business owners that excel in rendering proper customer service via their social media business page. Hence, in order to make social media effective for your business, it’s necessary to properly address the issues of the customers as well as offer them required suggestions and help as needed. Prepare perfect social media strategy: Be it beginners or experienced business enterprises; everyone fails to create an appropriate social media strategy. This leads to failure of social media campaigns. Hence, make sure you understand social media management in proper manner and use it to support your objectives. This will help to develop a win -win relationship with the customers. Know where your customers are as this will help you to address them in a proper manner. Let’s say if 90% of your target audience is using twitter then focus on that particular platform only. Try to develop a relevant and clear social media strategy. A business can be made successful if it adopts a perfect Strategy. Think several times before replying to the customer: Your reply should not hurt anyone and so make sure to give a proper reply that will solve the issue with a positive outcome. Don’t get emotional. Try to practice professionalism. Solve complaints quickly: Don’t get panic or angry with negative comments. Instead, make sure to speak with them politely and solve their problem quickly without keeping them waiting for hours. Always remember to add a personal touch while solving the complaints. Apply all efforts to make the customer happy. You can also discuss the issues via private message or arrange a call back. Solving complains quickly will give you happy customers. Outsourcing your customer service: If your organization is too big to handle customer queries in a proper manner then it’s advisable to outsource the customer service. There are several customer outsourcing companies available that offer well trained customer care representatives who possess good customer handling skills. If you really care about customers, then this is a really a good option for you that will yield surplus results. Always take feedback: Customer feedback plays an important role in the business. It shows how qualitative your product or service is and how much it has actually met their needs. Positive feedback can help you to get more customers while negative feedback will help you to improve your services. Be it any business; customer service is important. It’s a challenging task to provide excellent customer service via social media as sometimes your intention may not be to hurt the customers but they can get hurt by your message tone. So, it’s recommended to develop a perfect social media plan which includes offering satisfactory customer service that will lead to increase in sales. Wish to know how social media can be used effectively to maintain customer relationships? Then, Platinum SEO, one of the Melbourne SEO Companies is here to help you out.